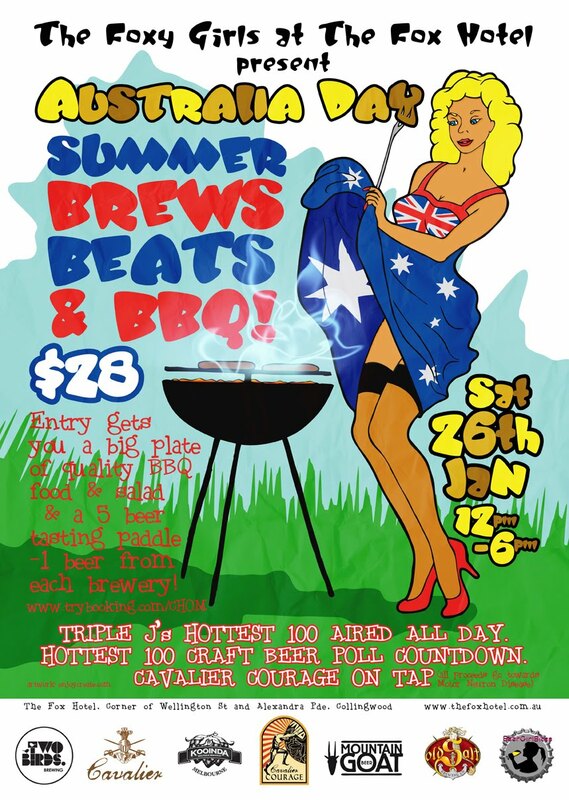 For the best and beeriest Australia Day Extravaganza, join the guys from Cavalier Brewing and me at The Fox Hotel in Collingwood for a big BBQ and the Hottest 100 music and beer countdown countdowns! Ticket price is $28 and includes a kickarse BBQ and a flight of beers, with beer specials being offered all day. We've got the best summer beers we could find from Cavalier Brewing, Mountain Goat Brewery, Two Birds Brewing, Kooinda Brewery and Old Salt Brewing!